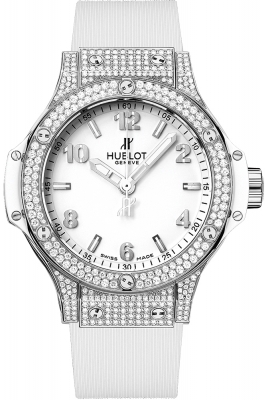 Stainless steel case with brushed & polished finishes, set with 194 diamonds weighing +/- 0.82 carats. . 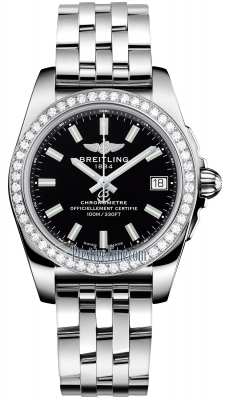 Stainless steel bezel set with 126 diamonds weighing +/- 0.87 carats. Crown has a black rubber centers/inserts. 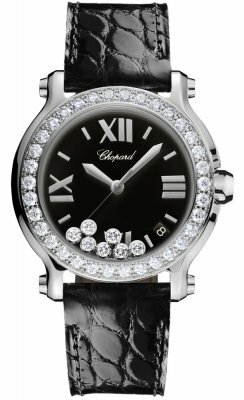 Solid black metallic black dial with a fine sunburst texture. Applied brushed finished stainless steel "applique" style Arabic Numeral & Index hour markers. Brushed finished stainless steel hands with luminous filled tips (minutes & hours hands semi-skeleton). 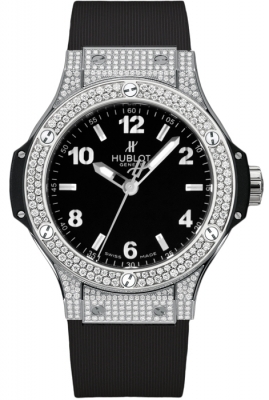 Printed minute track with 5 minute Arabic numerals intervals on flat black outer rim on the edge of the dial. 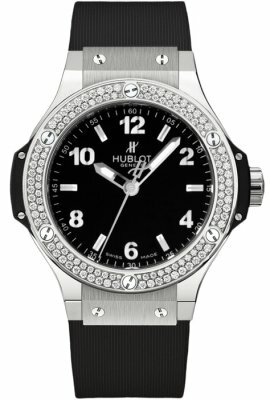 Immediately recognizable "H" style screws on bezel. 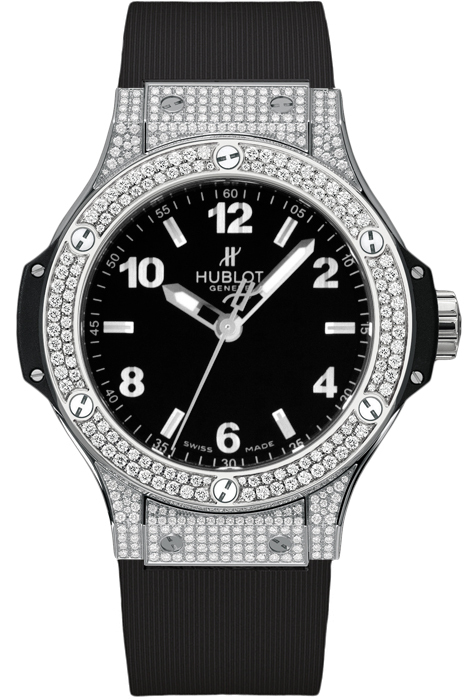 Hublot quartz/battery powered Caliber HUB 2900.